Last Friday, the DeLeon White Gallery opened its doors for Spaghetti Junction, an exhibit showcasing the thesis projects of thirteen art students studying at York University. 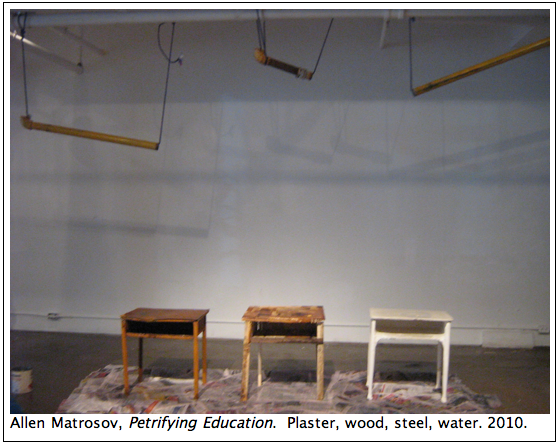 Allen Matrosov’s “Petrifying Education” critiques education by allowing desk materials to break apart under the indifferent force of dripping pipe water. While the display at Spaghetti Junction offers visually craving epicures a luscious plethora of priceless ocular stimuli, let it be known that this is no bourgeois art buffet: there is not a red velvet rope barrier in sight at the DeLeon White Gallery, and – more affordably – no entry fee. Hosting fifteen sculpture and installation pieces made of everything from grass to jock cups, Spaghetti Junction is composed of pieces based on ideas pursuing the intersection between natural and artificial environments, gender performance, the body and its relationship to personal and social spaces, artificial culture, consumption, stereotypes, as well as the nature of identity. 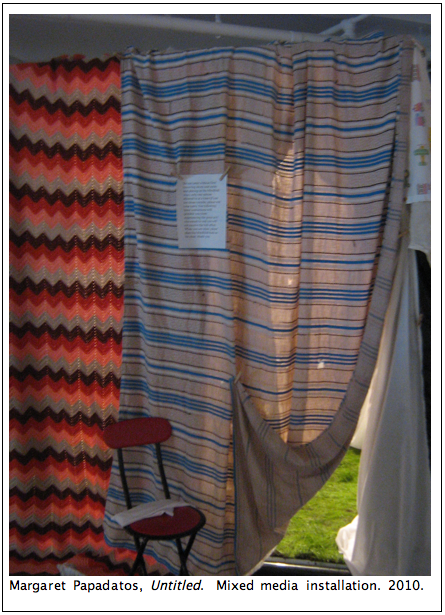 Margaret Papadatos’s piece at Spaghetti Junction requires viewers to don a blindfold. The show is not only concerned with how things are perceived, but also with what spaces and objects individuals encounter on daily bases. Simon Black aims to liberate things that are taken for granted from their overlooked condition by making their accumulation a sublime affair. 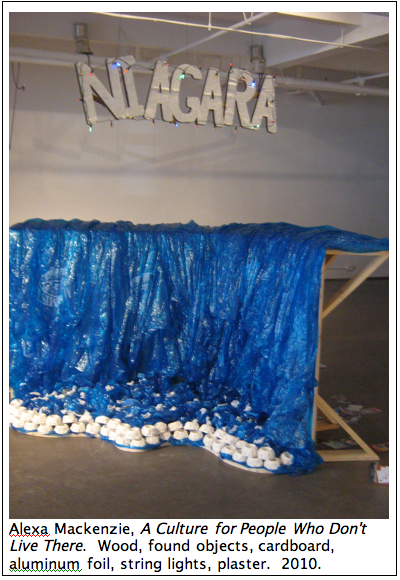 Alexa MacKenzie’s “A Culture for People Who Don’t Live There” sculpts Niagara Falls’s Horseshoe Falls out of tourist paraphernalia. Appropriate among other pieces that challenge normalized perceptions, Allen Matrosov’s contribution, Petrifying Education, is a piece that Matrosov hopes will make viewers reconsider their conceptions of the education system, which is ultimately an institution that has great control over the way people comprehend things in everyday life. For Matrosov, education becomes futile in the sense that “by the time a student graduates high school, in twelve years technology [changes] so much that everything they … have learned from … their elementary years [will] be obsolete,” and he illustrates this by placing three school desks made of basic desk materials slowly breaking apart under the indifferent force of water dripping from pipes. 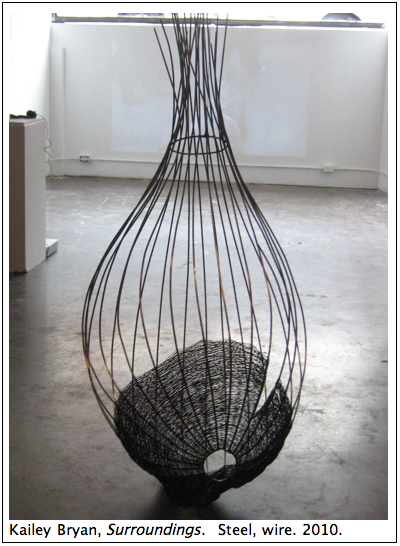 Kailey Bryan’s “Surroundings,” a steel weaved seedpod/cocoon inspired sculpture, is her response to brutalist architecture. Also focusing on issues to do with education, Meghan Scott’s Making the Maker zeroes in on the physically moulding effects of the education system, where several identical 21st-century desk/chair hybrids are presented and deconstructed, forcing the viewer to consider how education shapes perceptions as well as bodies. 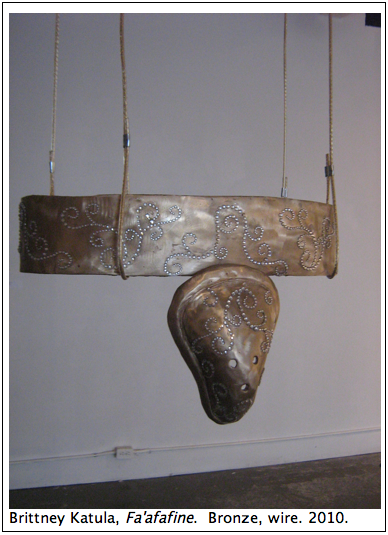 The piece is particularly significant in that it not only urges viewers to consider what education produces, but also how education shapes what is produced to be perceived. Other artists featured at the gallery are Robert Clements, Couzyn van Heuvelen, Jeannette Hicks, Phoebe Lo, and Joe Phillips. Challenging the methods of perception and also things that are perceived, making use of everything as a unified collection, Spaghetti Junction is a thirteen-course meal of brainfood. Open Wednesday to Friday from noon ’til 8, Saturday from noon ’til 5, and Sunday from 1 ’til 5, Spaghetti Junction runs until April 14. 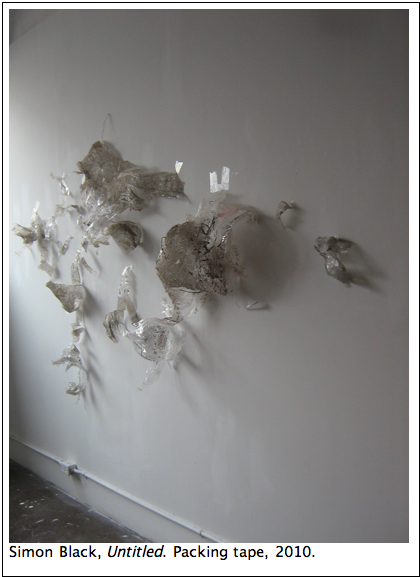 The DeLeon White Gallery is located at 1139 College Street. This entry was posted in Burden of Salt and tagged Alexa MacKenzie, Allen Matrosov, Brittney Katula, brutalist architecture, Cleomenes, Couzyn van Heuvelen, DeLeon White Gallery, education, Herodotus, Horseshoe Falls, Jeannette Hicks, Joe Phillips, Kailey Bryan, Margaret Papadatos, Meghan Scott, Niagara Falls, Phoebe Lo, Robert Clements, Spaghetti Junction, tourism, York University on April 8, 2010 by adminstratortombeedham.